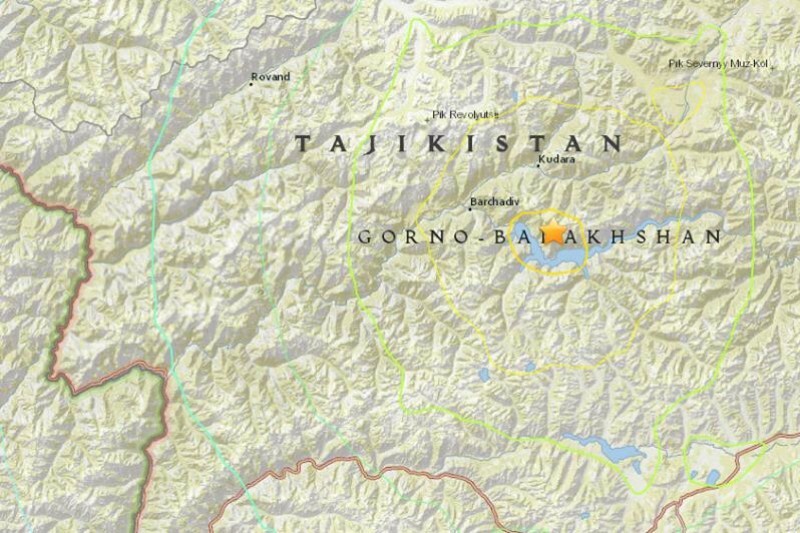 As the result of the massive earrthquake (7.2 magnitude on Richter scale) with its epicentre near Sarez Lake in Bartang valley in GBAO of Tajikistan more than 800 families left without houses and are currently in a desperate situation. The road to Bartang valley is also destroyed, which means the situation will remain critical for the unforseen future. Helicopters cannot deliver help due to the weather conditions. We need to help the local charities to provide the families in need with warm clothes, blankets, tents, food and transportation to a temporary shelter. Many families have suffered from the earthquake accross the region, but the situation in Bartang valley, especially in Basid and the villages in upper Bartang valley remains critical. Basid is one of my favourite villages in the Pamirs and the people of Basid are just AMAZING (Just like the rest of the people in Bartang, anybody who has been there would know what I am talking about). It would be great if those of you who have any connection to the region, could help to raise some money for the people in need. I am sure anybody who has visited Bartang valley and the hospitable people there cannot remain indifferent in this situation. The money you donate will be in the hands of the local Khorog-based NGO - "OUR" as they proved to be one of the most effective and dedicated relief groups during the last natural disaster in Barsem. I will report to you about how the money will be used in due course. At the moment we need to provide food and basic needs supply to Basid as soon as possible. Thanks so much for your generous donations! Dear supporters of this campaign! We have raised £8,743 pounds and transferred the amount to NGO OUR. We trusted the OUR volunteers with the task of delivering aid to the victims of the earthquake in December 2015 and they did a great job. The funding was transferred to them in two instalment and they reported on the delivery of the aid. The link to their final report was given in the previous update. You can contact them on their Facebook page O.U.R. foundation. We also raised some offline money, which we hope to invest in more sustainable projects during this summer. For all details please contact OUR via their Facebook page. This campaign will now be closed. I would like to thank you all for your generous donations! Our volunteer organisation - OUR has just published the report about the first phase of the aid on their Facebook. I am very proud of the great job that the guys have been doing in Khorog. You will find more background information about the organisation and their activities in the post below. Please al so visit their Facebook page for the photo-report and get in touch with them if you are interested in the details or would like to get involved. Few years ago, nobody would thought that it is possible. It is impossible for young people without any support to organize the delivery of humanitarian aid (to the affected districts) on the same level with international organizations. This was counted impossible, because the initiatives of youth in Pamir areussually perceived skeptically. However, we are ready to prove it wrong. Our youth is able to have complex objectives and they are able to find ways of meeting these objectives. Several months ago, we started building a complex system, bringing together the youth of Pamir for resolving different issues, where each of us will have its own position and place. The idea of founding a unite organization for the youth came to our mind. That is why we call it “OUR”, e.g. our organization. It didn’t take too long to wait for result. Starting from the first days many enthusiastic devoted young people offered their help. It is now challenging to count our volunteers over different countries of the world including USA, Russia, United Kingdom, Germany, Canada, Kazakhstan, Kyrgyzstan, Austria, Switzerland and of course Tajikistan. The main point of “OUR” organization is that we do not receive salaries; we work in different places with different backgrounds, and devote our free time to resolving different socially important issues. It should be noted that if the international organizations have donors, in “our” organization we are the donors. We are volunteers, and you would say “a drop in a bucket” and you are wrong. Here is another prove for that; when we come together we can achieve our targets. In December, 2015 right after the earthquake Public Organization “OUR” started fundraising for the affected population of GBAO. After a month, recording amount was collected. Funds were coming from Austria, Russia, Kyrgyzstan and many other countries. One of volunteers Aslishoh organized online fundraising in London, United Kingdom. The final amount became an impressive one. 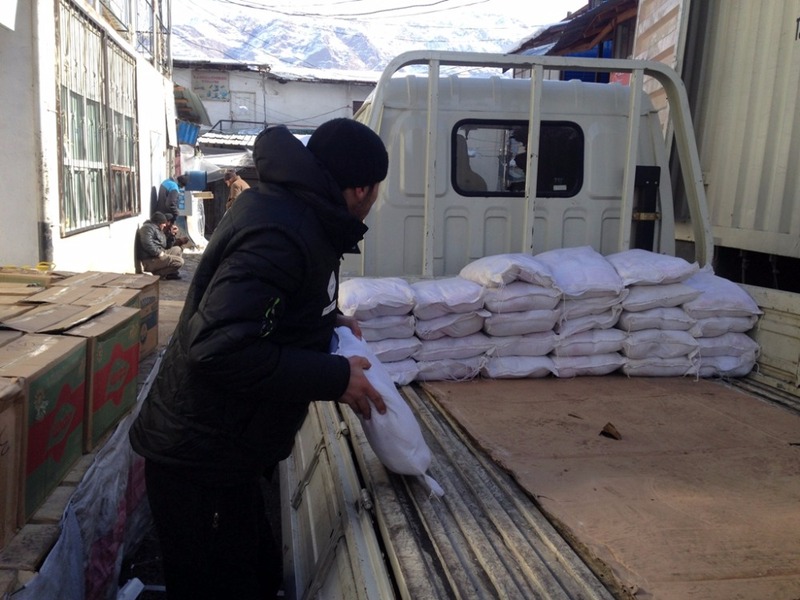 18 January 2016, the first, but not the last humanitarian aid was delivered to Bartang. The aid included: needed medicines, warm (new) clothes, good quality shoes (as per the request of the affected ones), food and sweets. As in next several days launching of Megaphone base station is planned in Bartang district, also 40 Nokia cell phones with SIM cards were provided to the affected population. This will give them opportunity to come out from isolation and to be connected to the rest of the world. The aid was delivered to total 7 villages: Ghudara, Pasor, Rukhch, Nisur, Barchadiv, Basid. The total amount collected was 66,365 tjs. In order to ensure transparency in the work of PO “OUR” we are inviting interested people to contact us and directly participate in the next period of purchasing and delivering of humanitarian aid." Еще пару лет назад многие бы сказали, что это невозможно. Невозможно когда молодые ребята без всякой поддержки сами организовывают поставки гуманитарных грузов (в пострадавшие районы) наравне с международными организациями. Это считалось невозможным, наверное, потому, что к любым инициативам молодежи у нас на Памире относятся скептически. Но раз за разам мы готовы доказывать обратное. Молодежь у нас умеет ставить перед собой сложные задачи и находить пути к их решению. Несколько месяцев назад мы начали выстраивать сложную на первый взгляд систему, объединить молодежь Памира, для решения различных задач, создать механизм, в котором каждый из нас займет свое место, и свое призвание. Мы загорелись мыслью создать единую организацию для всей молодежи. И потому назвали ее «OUR» (что в переводе с англ. означает «наша»), т.е. наша организация, наша с Вами. И результат не заставил себя ждать. Впервые же дни откликнулось много энтузиастов, молодых людей желающих бескорыстно помогать другим людям! Наверное, трудно сейчас сосчитать, сколько у нас волонтеров, проживающих в различных странах мира: Америка, Россия, Англия, Германия, Канада, Казахстан, Кыргызстан, Австрия, Швейцария и конечно же Таджикистан. Главным наверное является, то, что в «нашей» организации никто не получает заработных плат, все мы работаем в различных местах. А свое свободное время посвящаем решению различных социально значимых вопросов. Примечательно, что если у международных организаций есть большие доноры, то в «нашей» организации донорами являемся мы сами, волонтеры, «капля в море» скажите Вы, и Вы ошибетесь. Вот еще одно доказательство того, что объединившись, мы способны на многое! В декабре 2015 года сразу же после землетрясения организация «OUR» объявила о сборе средств для пострадавших жителей. За один месяц удалось собрать рекордную сумму. Пожертвования приходили из Австрии, России, Кыргызстана и многих других стран. Один из наших волонтеров Аслишох организовал сбор средств в Лондоне, в конечном итоге сумма получилась внушительная. 18 января первая (но не последняя) поставка гуманитарной помощи отправилась в Бартанг. Гуманитарный груз включал в себя: необходимые медикаменты, теплую (новую) одежду, хорошую обувь (по просьбам пострадавших), продукты питания, новогодние сладости детям и 40 сотовых (простых) телефонов Nokia с СИМ картами, так как через несколько дней намечается запуск базовой станции МегаФон, и у людей появиться возможность выйти из изоляции, и связаться с остальным миром. Всего помощь была оказана 7 кишлакам: Гудара, Пасор, Бопасор, Рухч, Нисур, Барчадив, Басид. Всего сумма помощи составила 66 365 сомони. Фото отчет прилагается ниже! Наша организация (в целях обеспечения прозрачности в работе ОО «OUR»), приглашает всех желающих, подробно ознакомится с нашей деятельностью, и принимать непосредственное участие в следующей закупки и раздачи гуманитарной помощи." I am writing to inform you about the results of the campaign. 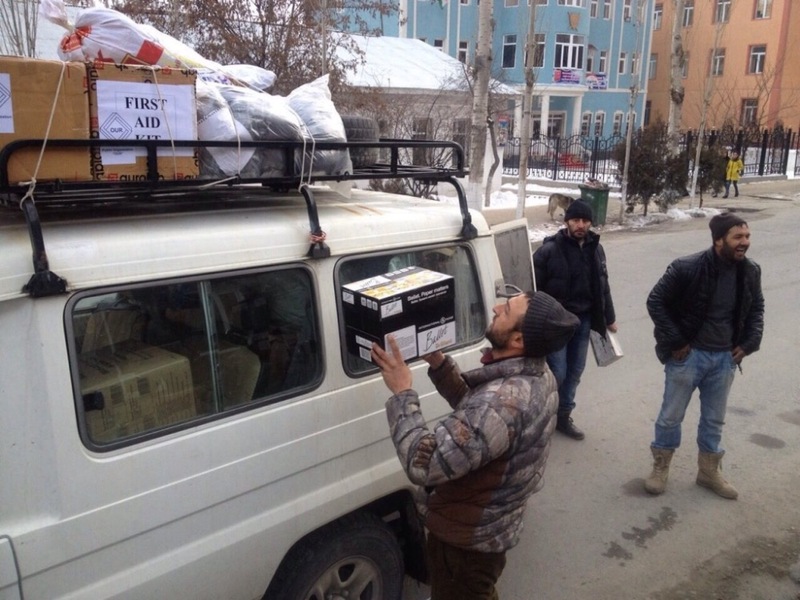 Although the purpose of the campaign was to deliver first aid to the victims of the earthquake, it took us a considerable time to raise funds and transfer to OUR account in Khorog. We managed to send 90 percent of the money, by the beginning of January. The coming of winter, road closures and other difficulties added to the delay. 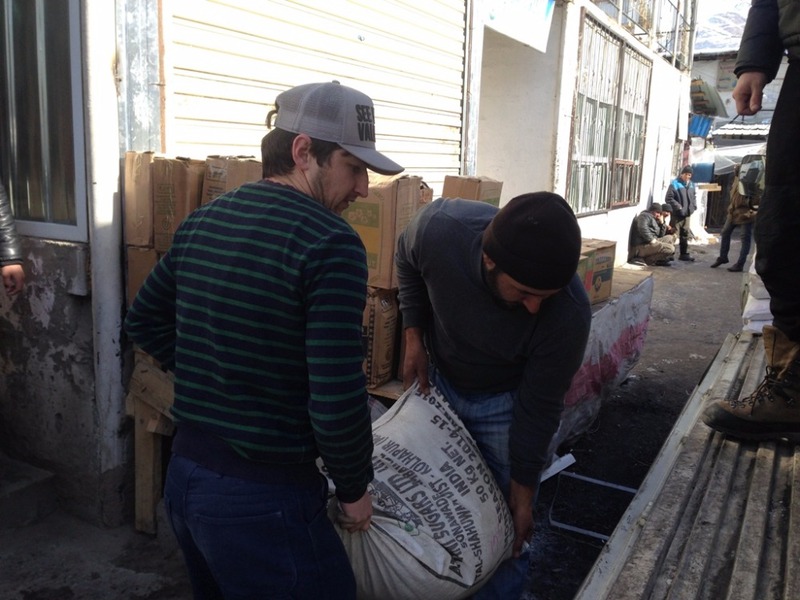 Plus we had to buy part of the stuff in Dushanbe and deliver it to Khorog, which also took a week. Overall, we managed to purchase most of what the local residence needed most: Food, winter clothes, medicaments, stationary items for school children and so on. We were also asked to buy cellphones for some villages who were recently covered by one of the mobile communication companies, so we felt it is important that a number of mobile phones (nothing fancy, but basic functional phones) were purchased and distributed to people so that they keep in touch with their displaced relatives. One track and one 4WD loaded with the aid were sent to Bartang yesterday and started distributing it from Ghudara today. I would like to thank you all for your generosity! 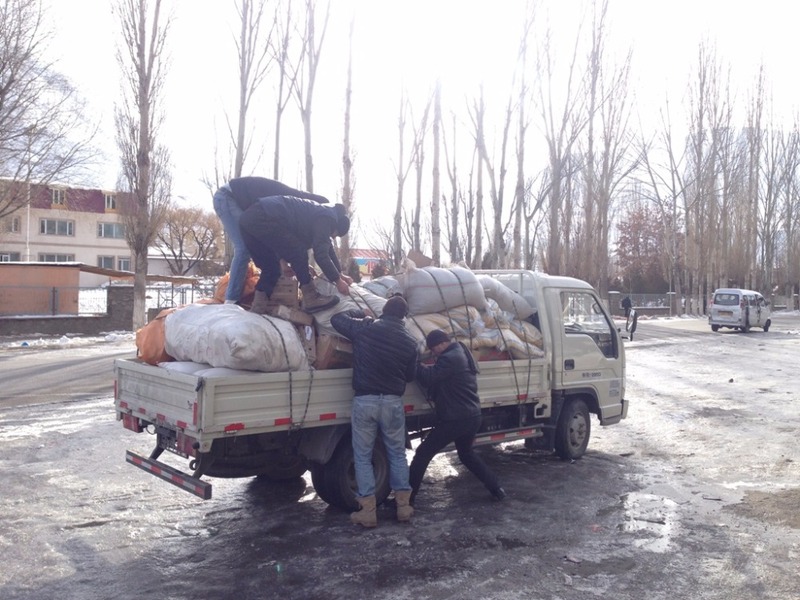 Our aid reached the people at the most difficult time of the year, the vey cold and sad winter of 2016. 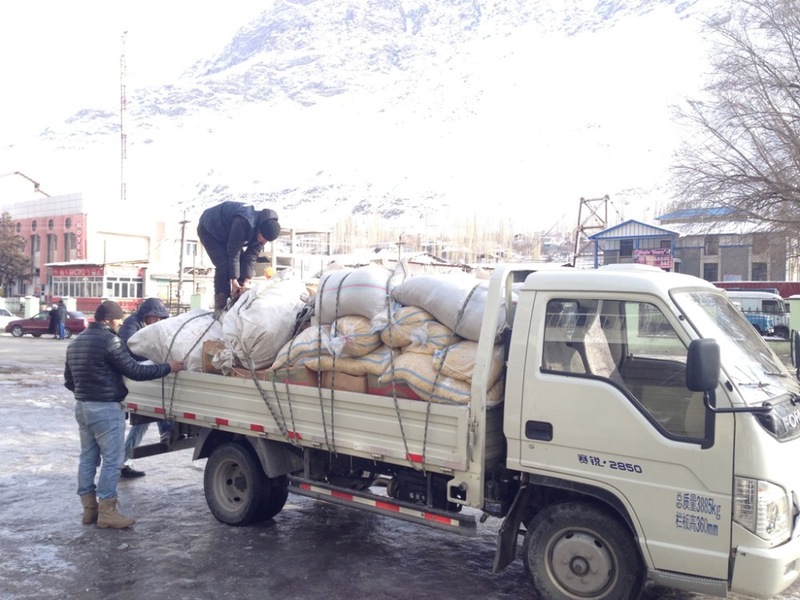 Below I am posting some photos from Khorog, where the aid was bought, packed, loaded onto the track and sent to Bartang. . OUR volunteers will send me photos soon from Bartang. 3000 kg. A larger track from Vomar on.. Happy New Year 2016 to everyone and thanks for your support! So sorry about this disastrous situation and thank you for all the support and action you are taking ! hi Asli Sho, have you thought about contacting Global Partners? I'm just about to recover telephone nr of a girl working in Pamirs right now and will send it to you soon. I am sure they will find ways to use this money in a right way. Their job is basically to localize needs that are not covered by state and big donors budgets, and give help accordingly. They are quite effective in my opinion. Thanks for your support and kind messages. I will keep you updated about the situation and how the families affected by the earthquake will receive the donations. At the moment, together with the volunteers from "OUR", we are thinking about the possible ways to deliver the help. Many families are displaced and will face a lot of hardship during the months to come, so your generous donations are really really appreciated by these poor households. Please keep us posted on the progress made in helping these individuals. We have family in Dushanbe, and have visited your lovely country. Our thoughts and support are with all those affected. We hope help can get to the villages in time. We stayed in the Bartang Valley, in Bashid, in summer 2013. Our car broke down and we had to rely on the kindness of those fantastic people. Thanks for the initiative and hope that with our help they will be able to go through the winter. All the best in the new year, soli muborak! I crossed the Barthang valley by bicycle last September and would like to thank warmly all the Barthangis for their incredible hospitality!